September 30, 2018 – LA Kelley Communications, Inc.
Wine and hemophilia: what’s the connection? Was wine ever considered historically as a treatment for h emophilia? Richard Atwood, our contributing writer from North Carolina, offers this week’s blog about the history of wine as a medicine, by summarizing a book he read. Salvatore P. Lucia’s 1963 book, A History of Wine as Therapy, purports that wine is perhaps the oldest of all medicines, dating back over 40 centuries of written record. 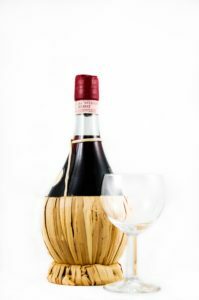 Wine is also used as a menstruum for other therapeutic substances. Wine contains alcohol, aldehydes, ketones, esters, acids, carbon dioxides, nitrogenous compounds, pigments, tannins, sugars, pectins, glycerols, vitamins, and inorganic compounds. As a food, wine provides fluids, calories, minerals, vitamins, and proteins. As a medicine, wine acts an appetite stimulant, stomachic, tonic, tranquilizer, anesthetic, astringent, antiseptic, vasodilator, diaphoretic, diuretic, and antibacterial agent! Whew! Wine was used in the healing arts in Egypt, India, China, Greece, Rome, Byzantine, Syria, Persia, the Dark Ages, and modern times. The therapeutic use of wine is documented in Egyptian medical papyri, the Bible, the Talmud, the Koran, Hindu vedas, Chinese medical treatises, plus ancient and modern formularies, dispensaries, and pharmacopoeias. Wine is prescribed as a pharmaceutical necessity. Among the prominent physicians promoting wine as therapy are Hippocrates, Socrates, Plato, Aristotle, Celsus, Homer, Pliny, Dioscorides, St. Luke the Evangelist, Galen, Avicenna, Maimonides, Arnald of Villanova, and Ambroise Pare. So maybe there is some philosophy to this! Research scientists investigated the effects of the polyphenols and tannins found in grapes. These substances are thought to promote the resistance of the capillaries to hemorrhage. This would “confirm the empirical observations of the Spanish court physician who prescribed a diet of grapes and wine for the Prince of Asturias, the first recorded haemophiliac member of the royal family of Spain.” (pp. 197-198). The reference is an undated, unpublished manuscript by A.J. Lorenz. Richard comments that there is only one reference to hemophilia in the text, but seven references to anemia. The absence of much hematological research on wine is disappointing. The use of wine as a treatment for hemophilia, especially when the patient with hemophilia is Spanish royalty, has seemingly never been replicated. For the use of wine to treat hemophilia, Lucia omitted the reference to John Cochrane, MD, surgeon in Edinburgh, Scotland, who published in Lancet (ii: 147-150) the 1841 article titled “ On the haemorrhagic diathesis.” Cochrane discounted the effectiveness of the internal use port wine as an effective treatment of hemophilia because the wine increases the general force for circulation, causing the congested vessels to rupture. Ouch. Maybe wine is best left to the parents or caregivers, to relax them from the aftermath of a hospital visit or surgery in their loved one with hemophilia?